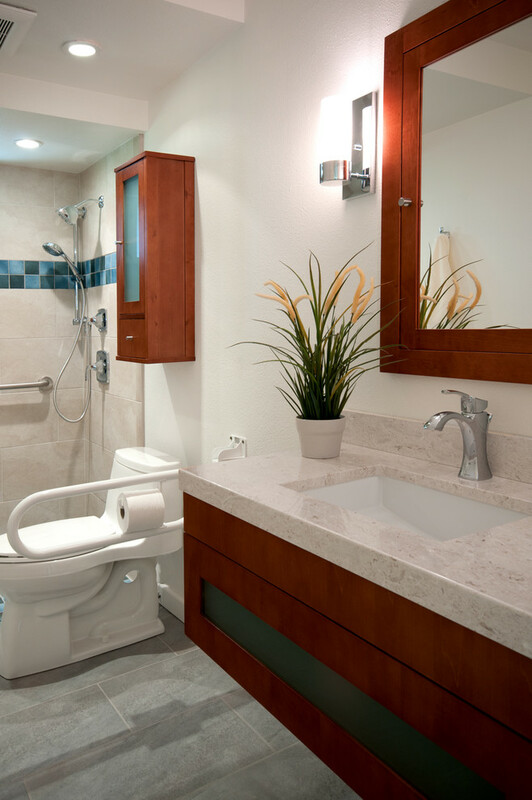 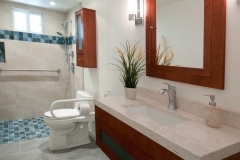 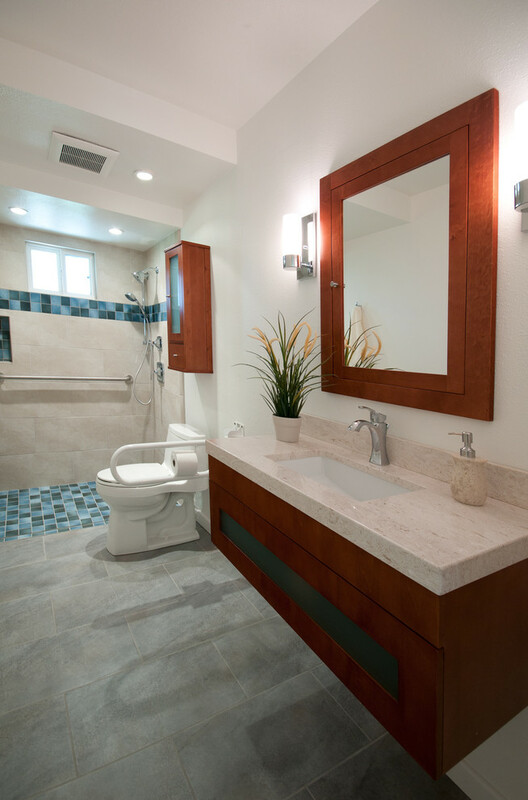 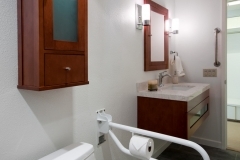 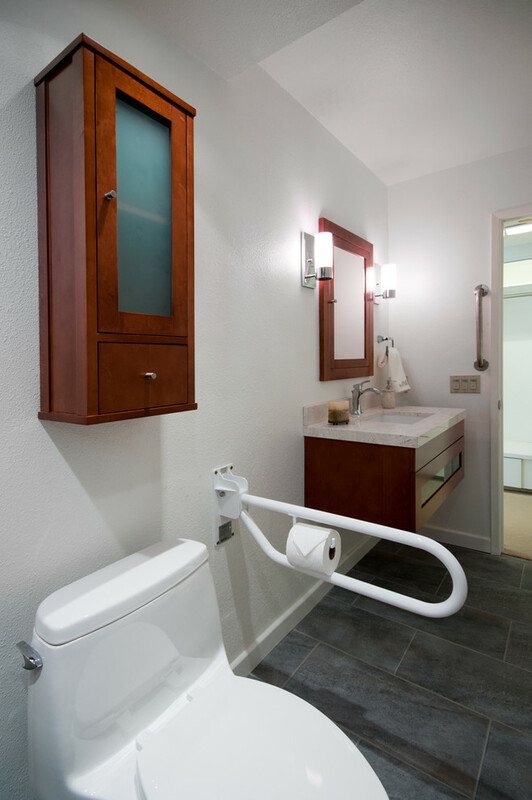 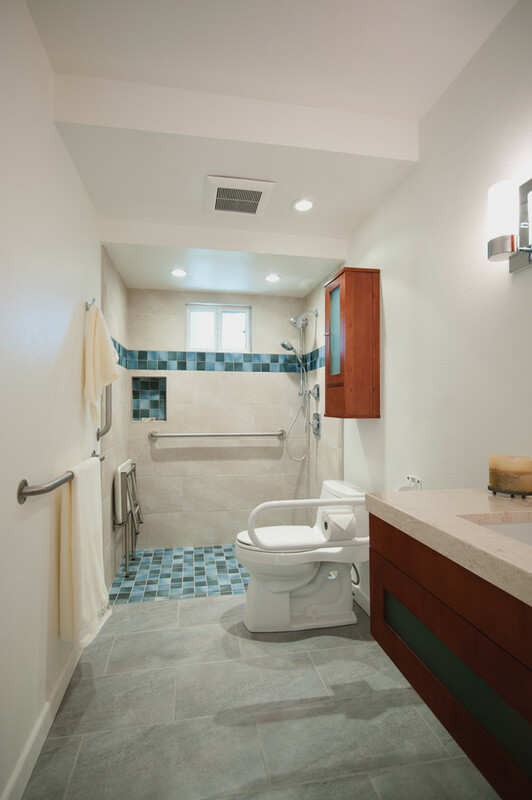 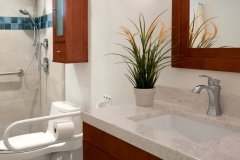 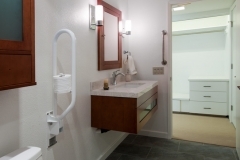 Our client requested a Universal Design bathroom that was functional, safe, and comfortable. 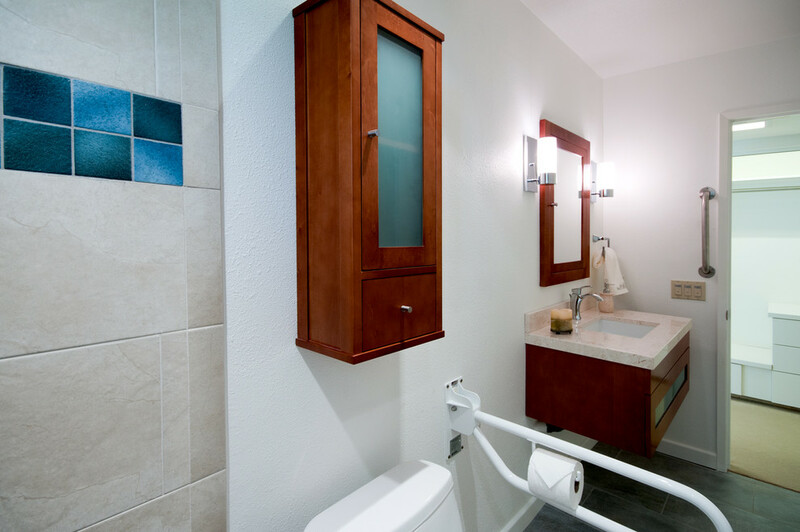 The client requested a design for his mother who had disability and vision challenges. 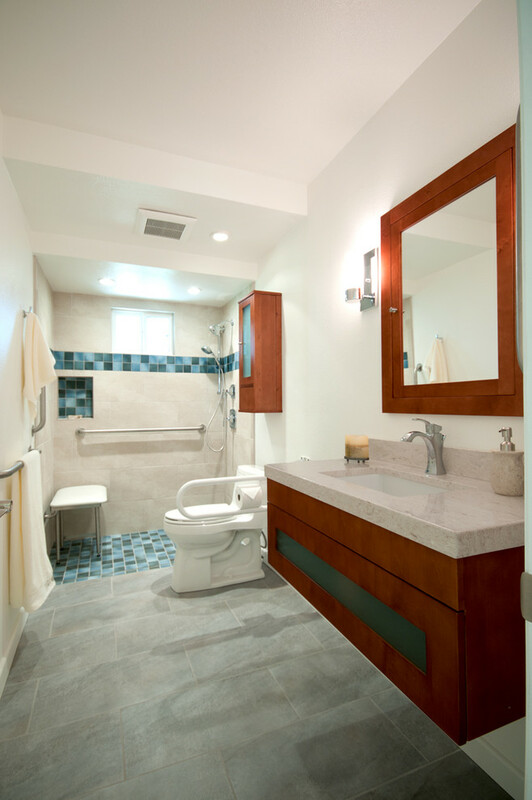 The design needed to encompass contrasting colors in the tile so she would be able to independently carry out daily functions. 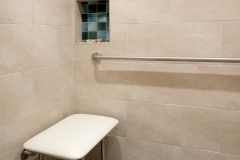 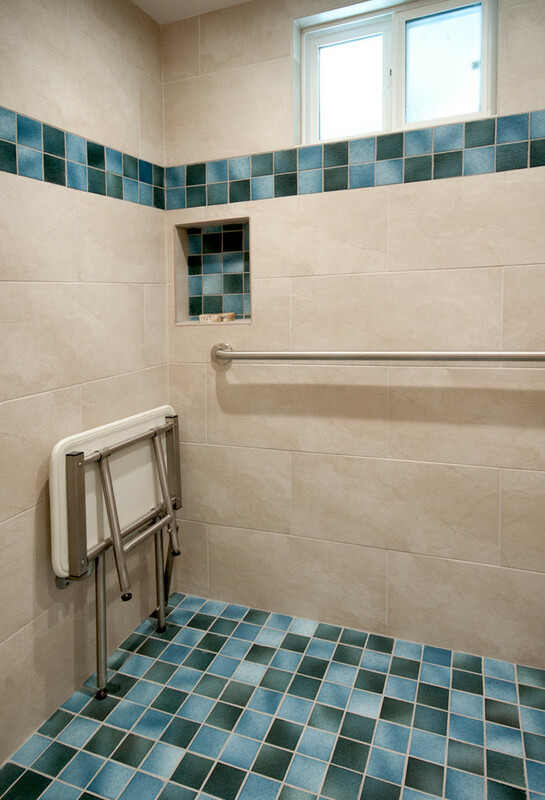 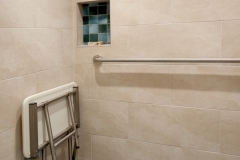 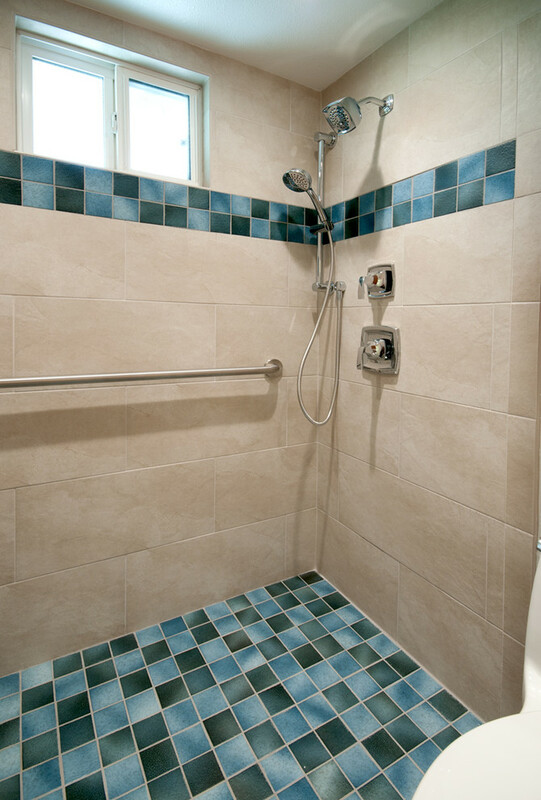 The interior designer, Marie Cairns, also designed the new bathroom to be wheelchair accessible: it included a curb-less roll-in shower and a fold down/up chair. 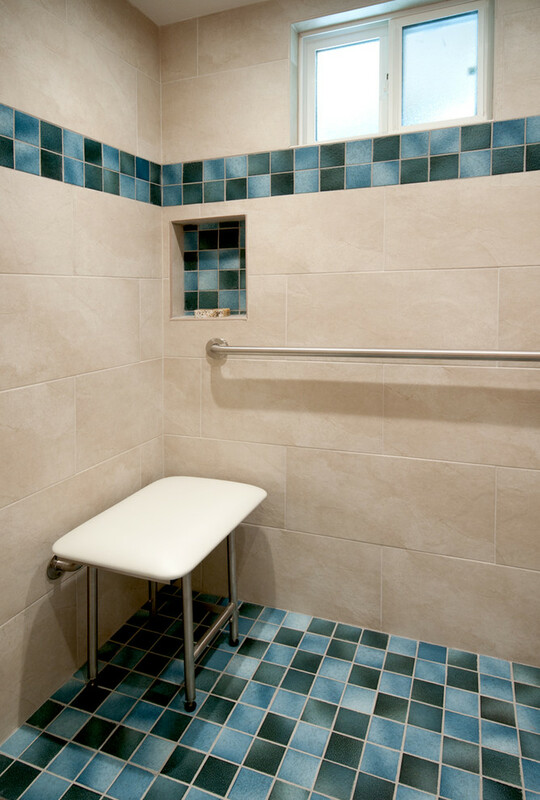 The linear drain was designed to be a tile grate and allowed for easy accessibility in and out of the shower area. 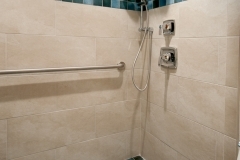 A balance bar was installed along with a hand-held shower. 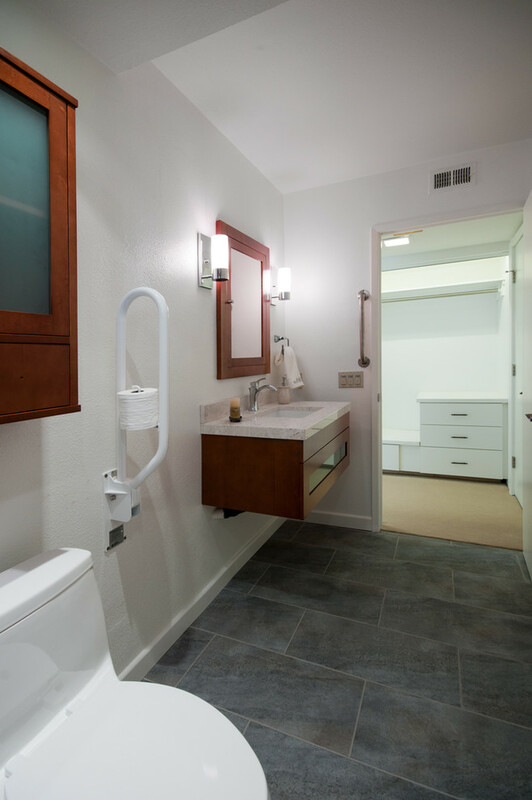 In addition, the over head soffit was removed and the existing bathroom cabinetry was replaced by a wall hung cabinet and a matching medicine cabinet that was flanked by sconces.